How many will you find? Join your neighbors and friends at our 7th Annual Easter Egg Hunt, complete with music, games, temporary tattoos, crafts, and fun for kids of all ages. This celebration is free of charge and open to the public. All are welcome! 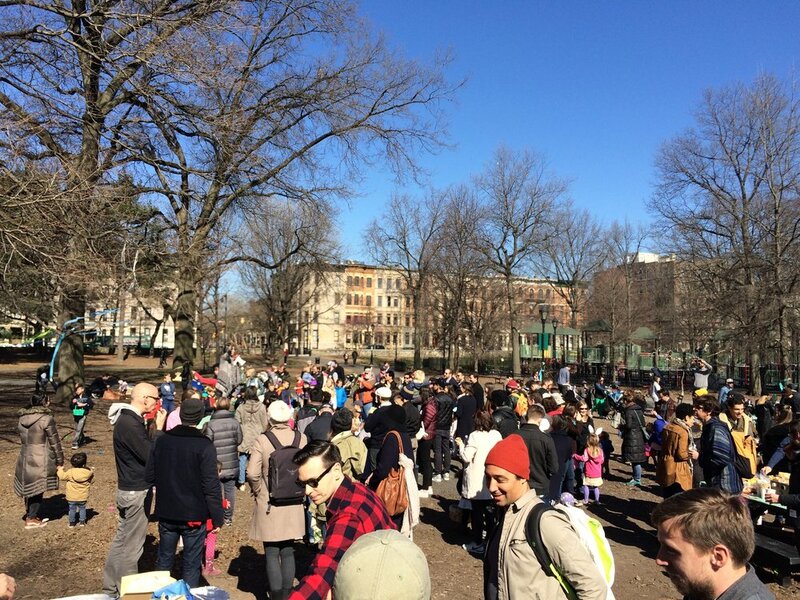 Use the 9th Street or 11th Street entrances to Prospect Park, near Harmony Playground. You can take the F G trains to 7th Ave or F G trains to 15th St; or the B61 to Prospect Park West or B69 / B67 to 9th Street. Limited street parking is available in the area. Stroller and bike parking is available at the entrance to the Easter Egg Hunt. Stop by the Welcome Table when you arrive to get your complimentary goodie bag. Enjoy free craft activities including sand art, bubble magic, temporary tattoos, and flower planting. Try your hand at free outdoor games, including ring toss, giant jenga, sack races, bowling, and more fun for the whole family. 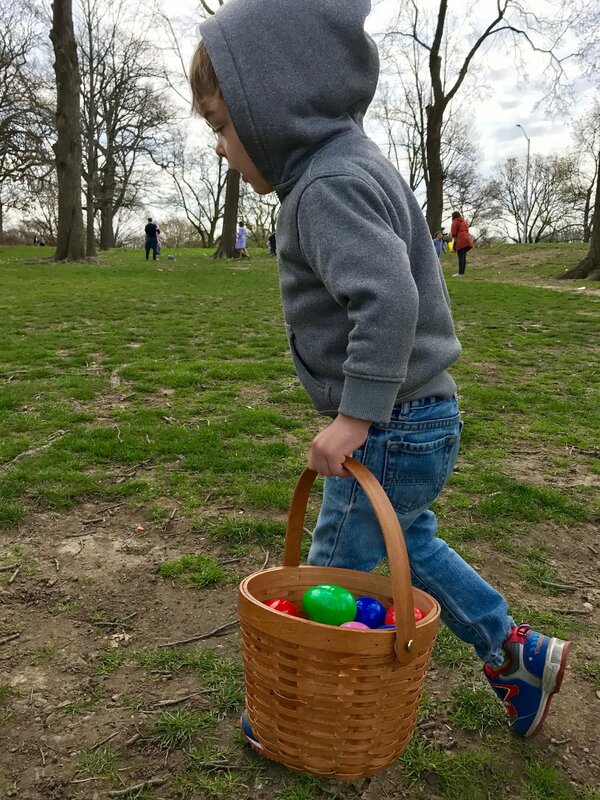 Everyone will hunt for eggs at the same time, organized by age group. We need volunteers to pull off this event! Please sign-up to join our team. You can help with hospitality, egg hiding, activity stations, craft stations, setup, or teardown. Questions? Contact us.